This is me and my business partner Brumby. Hi! I’m Lynne Levine, owner of Little Monsters. While planning a vacation I was looking for a place to leave my dog. I found that if I did not want him living in a cage for 23 hours a day my choices were very limited. Even places that claimed to be “cage free” still had “runs,” which is basically a big cage as far as I’m concerned. My sweet Brumby deserved better! He is used to love, attention and lots of space to run and play. I tried pet sitters but found that they were not treating my home as I would have liked. I came home to messes and smells. That is how LITTLE MONSTERS was born. I feel that I meet a need that has yet been unfulfilled. And best of all is that my rates are competitive to that of the kennels! I feel very lucky in that I am doing what I love. This business is like a dream come true and a long time in the making. I have a deep love and respect for all animals and they can tell – people say that it is amazing how even the most apprehensive of pets seems comfortable with me right away. I am a proud founding member of Suffolk County Pet Care Professionals. I have volunteered with the Guide Dog Foundation, Grateful Paw, Last Hope and Best Friends Animal Society, helping after Hurricane Katrina. I have over 15 years experience in the volunteer/rescue community and can offer references upon request. 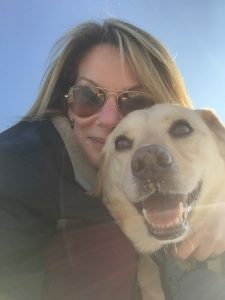 I have completed PetTech CPR and First Aid training including CPR techniques, first aid skills and health and wellness information for both dogs and cats. Why Hire A True Pet Care Professional? Lately it does seem like lots of people are boarding dogs in their homes or offering to pet sit for friends and neighbors. Anyone can go to your home and let your dog out or feed your cat. The difference is that I truly care that your pet is happy, safe, engaged, stimulated, and feels loved. 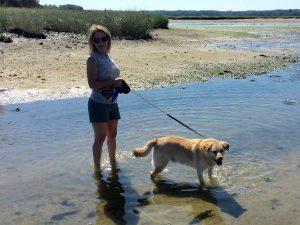 Professional pet sitting and boarding makes a difference! 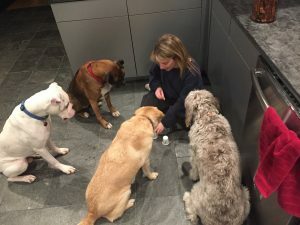 Taking large number of dogs into a small home – often with children present and without any real thought as to how to keep them safe and happy – is all too common. Frankly, its unsafe and unethical. A true pet care professional ALWAYS puts the needs of your pets first. Real pet care professionals spend time understanding animal behavior, learning how to read your pet’s body language, understanding basic pet health and safety issues, and developing smart and effective strategies designed to keep your animals safe, happy, healthy and well cared for at all times. I’m proud of the time I’ve spent learning and perfecting my trade over many years. I know it makes a big difference in the care I provide to each and every client. I never board large numbers of dogs at one time. Small, carefully matched groups mean that your pets get my undivided love and attention at all times. Special arrangements can be made so that only your family’s pets are in my home at any give time. Ask me about that! I have a very large home, which is beautiful to look at but 100% pet friendly. I specialize in older shy dogs. Your dogs can sit on my lap or curled up next to me while I watch TV at night – they can sleep in my bedroom with me and best of all they will wake up to lots of belly rubs and fun. Every dog finds his/her favorite toy amongst my vast collection and we will play with it to their hearts content. Basically they live with me as my cherished pet.